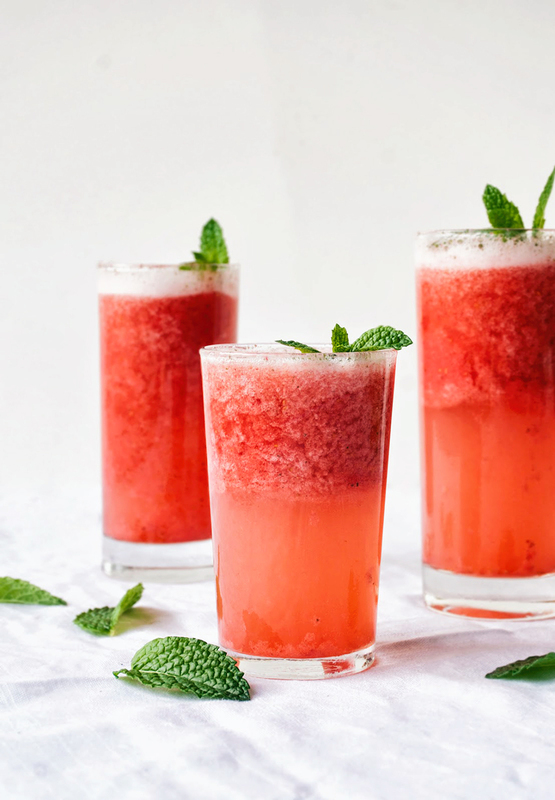 These strawberry sparklers are a healthier alternative to pop in the spring, with a strawberry lime slush base topped with sparkling water. 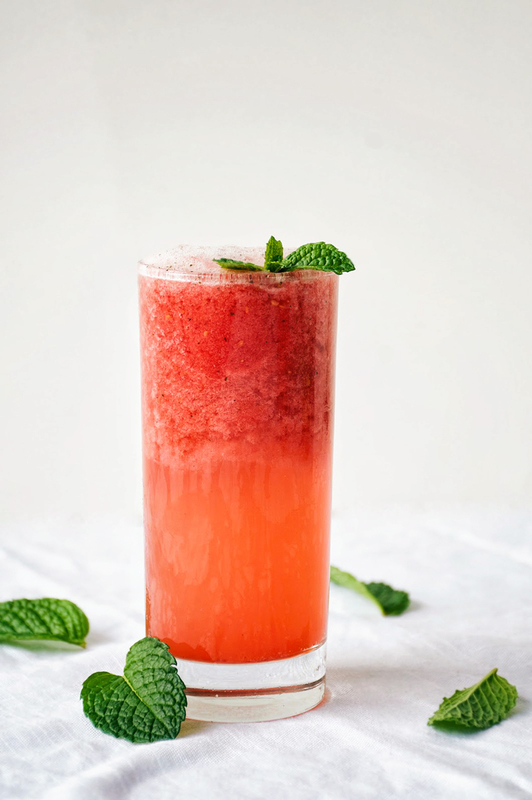 With a little honey and mint, it’s a great drink for warm days and kids love it, too. My little strawberry plants have little green strawberries on them right now, but I think in a week or so I’ll have some wee little strawberries to eat. The mint, on the other hand, has already tripled in size. I think I’ll have to start harvesting it and drying the leaves for tea. 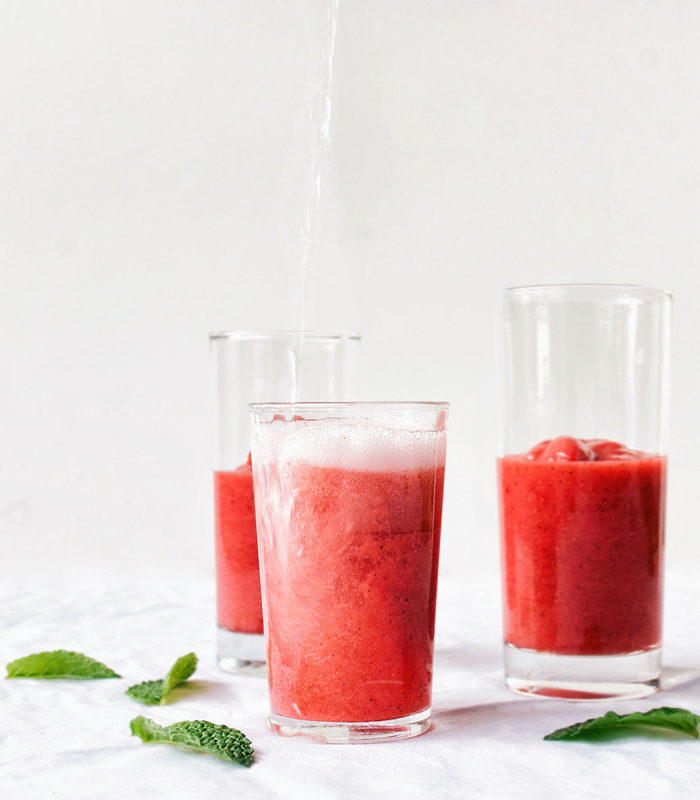 We’re sticking with fresh mint for these strawberry sparklers, but frozen strawberries in case yours aren’t ripe yet! So I wrote that first little bit a couple of hours ago and then went away to do some stuff. Sometimes I write about things and think how incredibly boring it must be for people to read this. Wow, I have strawberries growing, how exciting and fascinating. Blogs are so weird. I’ve gotten really interested in some other bloggers and I’m interested in just about everything they write about, but strawberries, really. There are things growing, it’s spring. Maybe it’s more interesting to mention that I’m writing this from my bedroom, where my little ‘home office’ is. I spend a lot of time here, editing pictures, or writing, or doing social media. The window is always open and it’s in the country, so I just hear birds singing most of the time, without any traffic noise. The Manitoba countryside is pretty isolated. Even though I’m only 20 minutes from a city, houses are almost a kilometre apart here. My window looks out on to a strip of tall evergreens the little orchard. I love the peace and quiet to work in, but I miss having my workspace in the main part of the house. It’s been odd to be cooped up in my bedroom so much for the past month. These strawberry sparklers are even easier than the popsicle recipe in the last post, and seasonal on top of it. Five ingredients, and absolutely stunning. It’s perfect for summer. I was looking through the recipe index and noticed that I’ve posted very few drink recipes, mostly because I have this idea that people don’t want recipes for drinks. I just toss a bunch of stuff into the blender and hope for the best most of the time. 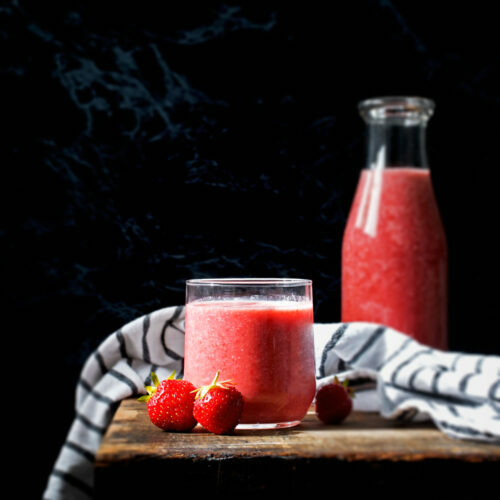 It’s essentially a healthy strawberry slushy topped up with sparkling water to make a refreshing, very fruity drink. You don’t have to add the water if you don’t mind a more gelato-esque texture, and it makes excellent popsicles. I think it’d be great mixed with champagne instead of sparkling water if you drink champagne. 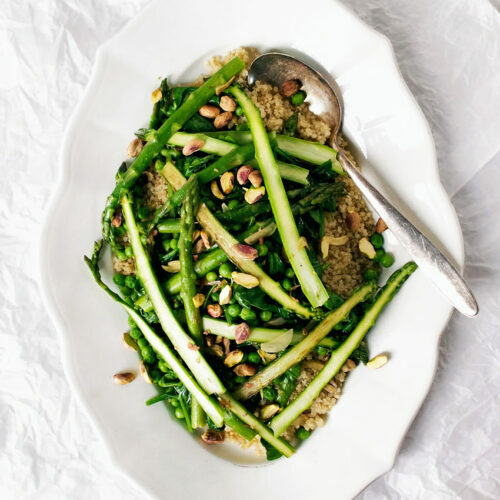 The mint flavour is mild, but you could add more if you’re looking for something a little more herbaceous. 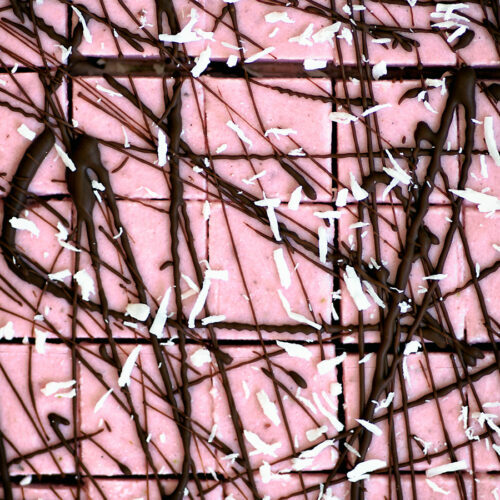 I am in love with this recipe and it’s my go-to with strawberries. 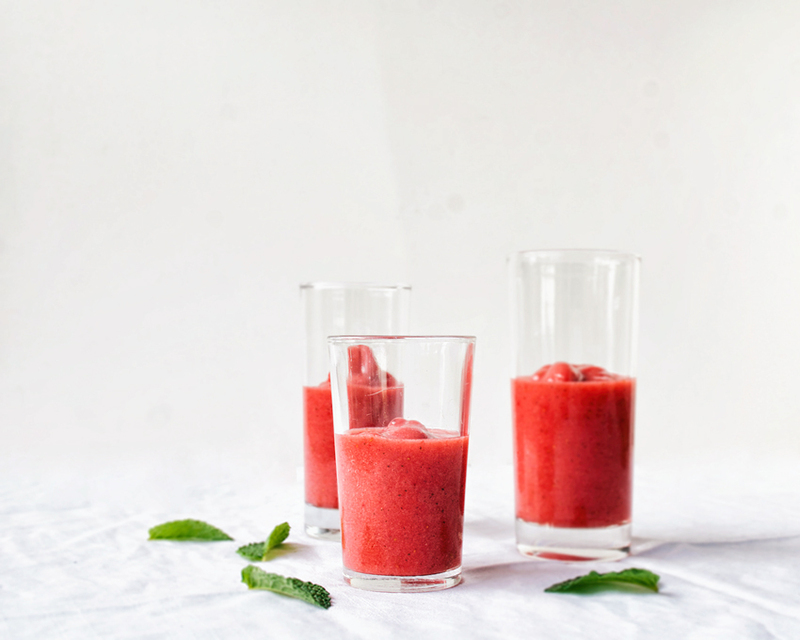 These strawberry sparklers are a healthier alternative to pop in the spring, with a honey sweetened strawberry lime slush base topped with sparkling water. 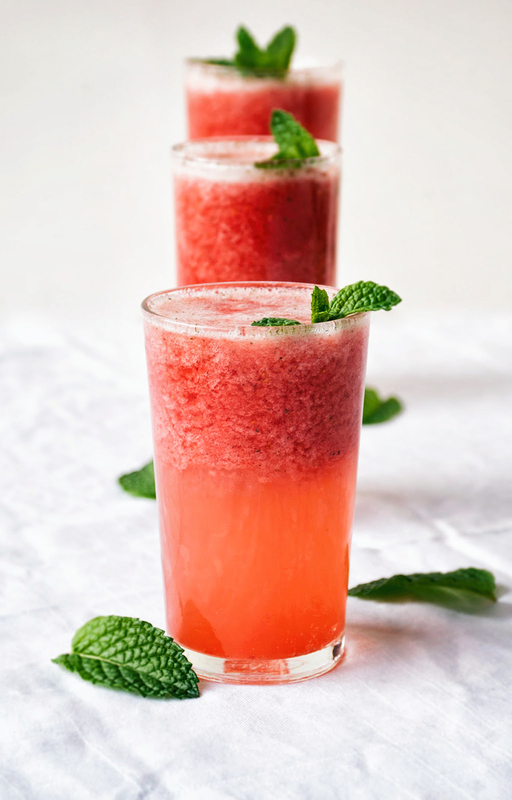 Add the strawberries, lime juice, honey, and mint leaves to a blender. Blend on high until completely smooth. If it's not mixing well you can add a splash of water. Fill glasses halfway with the strawberry mixture, and top the glass with sparkling water. Top with the additional mint and serve immediately. If you're not serving it all right away, keep the slushy mixture in the fridge and don't add the water until serving. It's best if you have it right away, but still good after it's been in the fridge for a day or two. * I have a sparkling-water machine, but you can use any kind that doesn't have anything added to it. You'll need a couple cups of water at minimum. Local strawberries have just arrived at my local market. 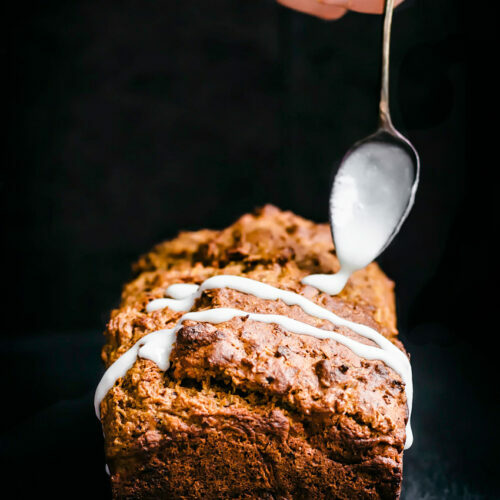 Bookmarked this recipe – it looks wonderful! Cheers! 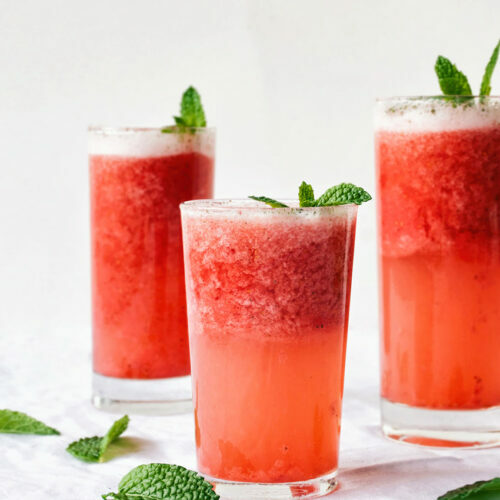 What a great refreshing drink to enjoy over the weekend! And they are great for kids as well! This looks so crisp and refreshing! Pinning now to try later this summer when our strawberries come out. Thanks for the inspiration, Alexandra and have a fantastic weekend! I personally love to hear about other peoples' gardens! 🙂 My strawberry plants are thriving, but I think the deer keep eating the berries at night! Your strawberry drink reminds me of what my dad would make me when I was younger: he'd blend strawberries with sugar and mint, and a little ice. That was it. Less "sparkling" than your drink, but so tasty nonetheless. I think the sparkling water makes it more grown up! Ooh, that's exciting! I'm still waiting. Thanks, Mardi! Thanks Justine! I think we're on about the same schedule for seasonal produce, I can't wait for local berries! Perfect for kids! I want to drink it all the time, ha. Hehe good to know, Sarah, because I'm sure I will end up writing a lot about the garden over the next few months. I bet they are – we have a couple of big dogs that keep deer just outside of the main yard area, so luckily they stay away from the garden! Those sneaky deer, eh. 🙂 Thank you! I think I'll be making versions of this drink with seasonal fruit for a while yet! I can totally see a peach version turning out really well, or peach and raspberry.